The main focus of the Day Program is on enhancing the self-esteem of participants as well as their communication and socialization skills. Another goal of these programs is to enhance the vocational skills of participants by instilling basic concepts of work and responsibility. The aim here is to assist participants in moving towards independence and self-sufficiency by fostering those skills and experiences, which may eventually assist participants in obtaining and maintaining paid employment in the community. To this end, EDS has put in place schedules, routines, and practices which reflect a work-like environment. The crucial point to remember is that EDS is a service provider for participants in the Day Program and not an employer that the participants involved in these areas are not involved in paid employment. EDS has become involved in a number of ventures, which provide revenues for EDS that can be used for the provision of services. These ventures have also created a number of job opportunities for EDS participants. For each of these ventures, EDS has designated a certain number of positions and are paid competitive salaries and benefits. The following are examples of such ventures: SARCAN, SWEEP, and contract work for other agencies or companies. The Day Program is designed for individuals who have limited motor and sensory development. Programming stresses daily living skills, communication, computer programs, healthy living and socialization rather than vocational skills. However, some activities may be of a vocational nature. There is a pre-employment aspect to the Day Program as it is a first introduction to a structured work environment. We work on computer skills, time management and hygiene. Productive aspects are secondary to the primary goal of developing sufficient social competence to maximize an individual’s potential in the community. The Resource Centre offers continued learning of day to day life skills for our participants in a comfortable private setting. Every person helps create their own learning plan with goals. Each person has many choices to choose from like reading, writing, computers, money, and other daily living skills. We see growth in their confidence and skills because of this program. Human Rights is our main concern. EDS took the Rights of the participants seriously by creating a Human Rights book called, “Your Life, Your Rights”. The book is written in Clear Language, meaning words that we know or will be able to understand. There is a picture for each Human Right to help people think about it. EDS participants took part in every piece of the book project and learned about their Rights along the way. Most importantly, they are still learning everyday that they have Human Rights, too! The Vocational Centre involves the manufacture and sale of goods and services to the public. Here individuals are provided training in a more production oriented setting and they become more familiar with the responsibilities of a job. We provide the basic concepts of work and responsibility, with the plan that these skills may aid in the transition towards greater independence. The aim is to provide work experience which may be transferable to other settings. Supported Employment Services provide employment for individuals, off site from EDS facilities, but with adequate support to enable clients to handle the job and the independence it brings. With supports we believe that our clients are able to handle the challenges and benefits of paid employment. Participants in this program may earn minimum wage or more. Group Homes are family-style homes which provide care, supervision, and some training for adults with intellectual disabilities. The Group Homes provide up to 24 hours staffing. The program focuses on attitudes, respect relationships, hygiene, nutrition and cooking programs. The program also focuses on empowering participants to participate more fully in community life, i.e. churches, restaurants, and the use of leisure facilities. 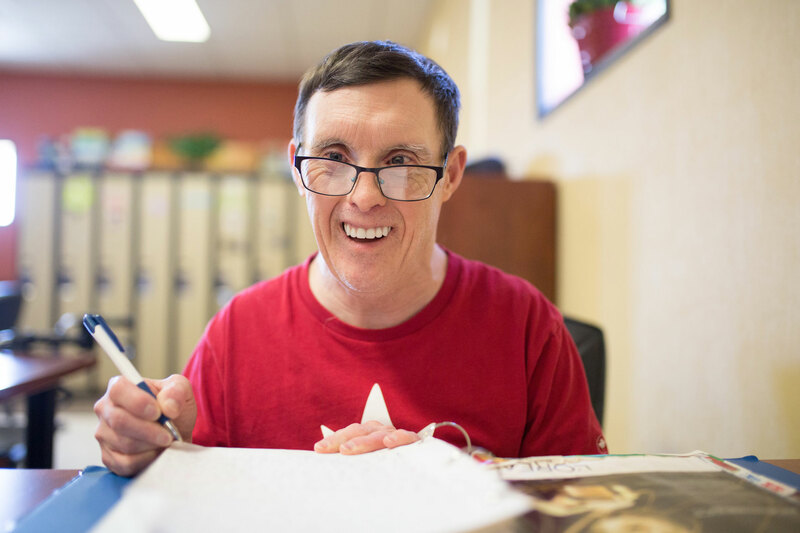 The Supportive Apartment Program provides individuals with intellectual disabilities the opportunity to become more integrated members of society, and at the same time promotes positive community attitudes regarding the person’s capability and right to live independently. Staff provides support to the participants in this program. The program shall be administered in such a way as to enhance the self-dignity and self-sufficiency of the participants. The Supportive Independent Living Program is the final program on the continuum of supported residential programs. 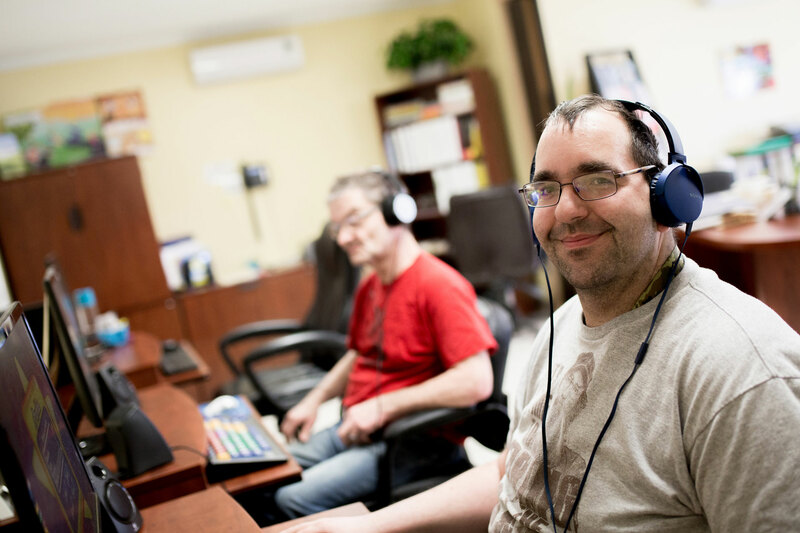 SILP provides individuals with intellectual disabilities the opportunity to become more integrated members of society, and at the same time promotes positive community attitudes regarding the person’s capability and right to live independently. SILP provides staff support to clients who live in and maintain their own apartments. The program shall be administered in such a way as to enhance the self-dignity and self-sufficiency of the participants. The program focuses on encouraging our clients to participate more fully in community life, i.e. churches, restaurants, and the use of leisure facilities. The program focuses on nutrition, cooking programs, budgeting, attitudes, relationships and hygiene depending on the needs of the individual. SARCAN is the deposit beverage container recycler for Saskatchewan. 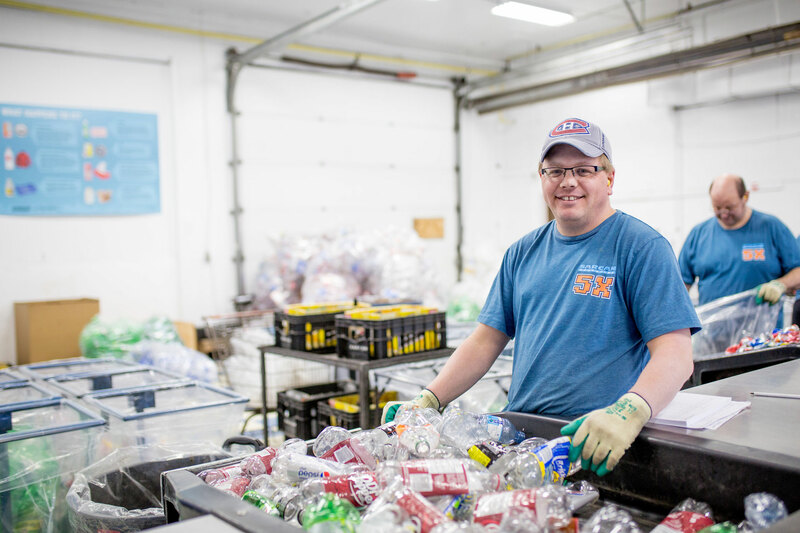 SARCAN not only recycles beverage containers but the depots and processing plants have a mandate to maximize the employment of persons with disabilities. Estevan Diversified Services contracts to operate the SARCAN depot in Estevan. Pop, water, juice, wine, alcohol, and non-refillable beer bottles whether glass, plastic, aluminium or other metals. *SARCAN cannot accept milk jugs, cream cartons, nor can we accept half and half cartons. We are one of Saskatchewan’s SARCAN Electronics Recycling facilities. This means that you can drop off your used electronics equipment at our SARCAN depot to be recycled. !!! Due to increased amount of appliances and garbage that have been illegally dumped at our SARCAN location, we feel the need to remind our community about what electronics can be recycled at Estevan SARCAN. Please read. The province of Saskatchewan has issued a Waste Paint Management Regulation. The regulation requires the paint industry to manage a consumer take-back program in Saskatchewan for leftover household paint. As part of this regulation, used paint cans can be dropped off without charge at any SARCAN depot in the province. As part of this regulation, all SARCAN depots have a supply of reusable paint on hand that is available to the public. This paint is free of charge, but customers must sign a waiver form before removing it from our depots. This paint is not inspected and cannot be guaranteed. We are truly grateful to all of the people who donate their time to assisting us in improving the lives of people with intellectual disabilities in Estevan and the surrounding area. We recognize that we would not be able to provide the services that we do without your time and support! We truly appreciate all that you do! 2018 © Estevan Diversified Services. All Rights Reserved.